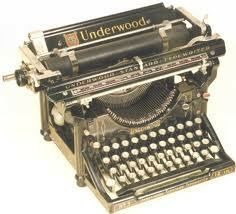 A century ago the Underwood typewriter was high technology. It was the latest, the best, the “must have” device for anyone in the business of communicating. Talk to the average kid today and most have never even seen an actual typewriter—and they certainly haven’t used one. The typewriter for them is a relic of a long ago past. Imagine what would happen if we as a nation addressed the problems of youth with the same creativity, innovation, resources, interest and drive that took us from the Underwood typewriter to the iPhone. How would our policies look? What would our youth confinement rate be then? America’s Juvenile Justice System: Part of the Problem or Part of the Solution? David Tyrone is 15-years-old. He’s an average student, who attends school regularly, and secretly dreams of becoming an artist. David knows gang members—it’s hard to live in his neighborhood and not know them—but he doesn’t belong. He’s not sure the gang life is for him. One day after school, David accepts an invitation to ride with his friends to the mall. That evening he and his friends are arrested for joy-riding. David is sentenced to time in a juvenile detention center. Inside he’s a target. When people ask him where he’s from, his answer, “nowhere,” is never good enough. In juvenile detention, you have to be from some gang. Inside you need protection—or else. David gravitates toward the gang members from his neighborhood. They protect him. They school him. By the time he’s released from juvenile detention, David is changed. Now he’s a bona fide gang member. Now he’s got “creds” (a reputation). It’s almost certain that he’ll return to juvenile detention for some crime or another. David Tyrone is not a real kid, but this dilemma is very real. Scenarios like this play out every day in cities across America. It’s time to ask ourselves the question: do our juvenile justice detention centers deter the proliferation of juvenile gangs and the attendant gang violence or do they inadvertently serve as recruitment centers for gangs? 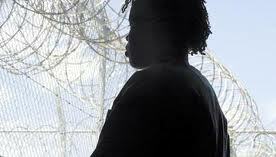 As our detention centers become more crowded and violent, many offenders who were incarcerated for non-gang related offenses are drawn into gangs for protection They quickly realize that inmates/youth who are not affiliated with any gang set are easy prey for gang members from any of the different warring sets. The basic tenet of our juvenile justice system is rehabilitation. With the overcrowding, staff shortages and the increasing tensions between warring gang factions, more time is being spent on safety issues and less on rehabilitative efforts. Part of the problem is this: some kids simply do not belong in juvenile detention. To really appreciate this dilemma, an at least cursory examination of the gang infrastructure is needed. Think of the gang hierarchy as an inverted triangle. At the top and larger part of the triangle are the “wanna-bees” (hangers on who are flirting with the idea of becoming a gang member) and new gang members. The second tier and second largest group are the mid-level members. The last group, which is the smallest and most dangerous, is composed of “shot callers.” Very little of consequence occurs in a gang set without the knowledge or direction of the shot callers. Unfortunately, our juvenile justice system sometimes treats these categories of youth the same. Distinguishing between the groups can mean the difference between saving a kid from a life of violence and pushing him down a treacherous path. We can be doing a lot more than institutionalizing youth, especially the wanna-bees and new gang members. To effectively impact the issue, more attention/efforts must be focused on prevention. “At risk” youth and wanna-bees must be identified and programs instituted to steer them to more productive lifestyles. We owe it to our future to focus on creative ways to save youth, rather than lock them up. I submit that the gang issue cannot be arrested away. More than 30 years of strenuous enforcement has proven that. It must be dried up by dealing with at-risk youth before they become caught up in the gang culture. Our juvenile justice system is exacerbating the problem. The big question is, do we have the resolve to devote the energy and resources to correct the problem? Or do we stand idly by and allow these misguided youth to develop into menaces to society?